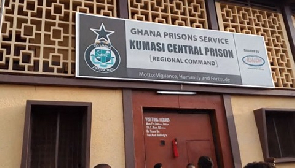 A prisoner who was remanded to reappear before the court this week has reportedly disappeared from the Kumasi Central prisons. The escaped prisoner identified as Abdul-Razak, YEN.com.gh has gathered, was standing trial for various crimes key among which was his alleged association with rebels in neighbouring countries. Reports have it that, the escapee had been remanded on Friday, November 2, 2018, to reappear at a later date while his docket was forwarded to the Attorney General’s Department for advice. But according to a report YEN.com.gh sighted on MyNewsGH.com, prison officers woke up the next day to find Abdul-Razak’s absence from the prison without any physical sign of a jailbreak. “He did not break jail because it is not possible for anyone to have escaped considering the security arrangements in the male yard. He disappeared and that is the major mystery to all of us,” the report quoted an anonymous a senior officer as saying. The report further stated that Abdul-Razak, a known armed robber, is said to have some spiritual powers in a special ring which he uses to outwit the security agencies each time he is involved in a crime. The disappearance, YEN.com.gh has learnt, has been kept under wraps as prison authorities have reportedly remained tight-lipped over the development. In a related news, police officials in the Northern Region have foiled an attempt by a group of people to break a suspect out of a cell. 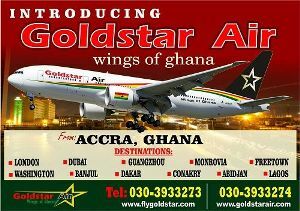 YEN.com.gh understands that more than four live bullets were fired at a group that invaded the regional headquarters. The incident occurred on Tuesday, November 6, 2018, and it created a chaotic scene at the place for several moments. Meanwhile, thieves have allegedly broken into the offices of the government flagship initiative, One District One Factory. The incident reportedly occurred at dawn on Wednesday, November 7, 2018. According to the Public Relations Officer of the secretariat, several items cannot be found after the robbery occurred.